Net zero energy buildings are no longer a niche. Here are the practical considerations for getting your building to ultra-efficiency. Net zero energy may seem out of reach for many building owners and managers, but it’s no longer a niche trend. Whether it’s ground-up construction or an update to an existing building, there are countless sustainability measures that can be implemented to give a building its net zero energy designation. There are now net zero energy buildings in more than 44 states nationwide, totaling more than 45 million square feet of development. Between tax incentives, long-term energy savings and carbon emission reductions, these buildings offer a host of benefits for building owners, operators, and management. Yes, there can be a large upfront investment. However, net zero energy buildings cost very little to own and result in significant long-term savings. A building is considered net zero energy if it’s at least energy neutral, and ideally produces more energy than it uses through a combination of onsite generation and energy efficient measures. With energy making up about 30 percent of a facility’s operating costs, eliminating these emissions can have a significant impact on the environment and result in long-term savings for owners and operators. On average, net zero energy verified buildings use 60 percent less energy than similar U.S. commercial buildings and 46 percent less than new buildings under California’s Title 24, one of the more stringent energy codes in the U.S. In addition to reducing expenses, lowering energy use can increase the building’s rental rates. By some estimates, this increase can be as much as 5 percent, leading to a significant bump in the overall building value. For buildings that produce more energy than they need, excess energy can be sent to the grid to supply the community’s power needs. In addition to benefiting nearby residents, this can bring in additional revenue for building owners. The second step includes onsite renewable energy generation. Most often, buildings use wind, solar or hydro systems, or a combination or all three, but there are a wide variety of other generation methods to explore as well. 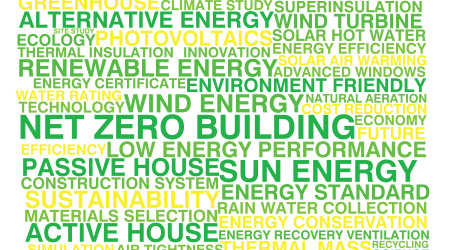 Net zero energy may sound cost prohibitive, but it doesn’t have to be. In addition to the energy cost savings, net zero energy and similar programs offer significant tax incentives. Incentives vary by state and may change over time, but the Database of State Incentives for Renewable & Efficiency is a great place to get more information about what is available in your area. If net zero energy is too daunting of a goal to start with, the Leadership in Energy and Environmental Design (LEED) designation, which many building owners and operators have already secured or are in the process of pursuing, is a good place to start. LEED requirements have significant overlap with net zero energy, with 70 percent of net zero energy projects being LEED certified or registered. Simple step-by-step changes, such as installing low-flow toilets that use 1.6 gallons per flush versus traditional toilets’ 7-gallon usage, can help owners achieve LEED and eventually net zero energy through a phased approach too. Whether implementing all at once or over time as budget allows, LEED and net zero energy are much more cost-effective than many building owners and operators might think.